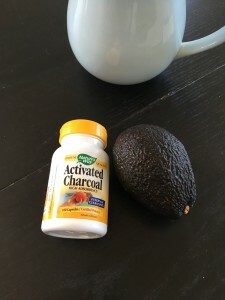 I have been using activated charcoal in my skincare routine for awhile now and I love it! I have noticed a difference in the look and feel of my skin. Today I am sharing all of the reasons why you should add activated charcoal to you skin care routine. Activated Charcoal is a fine powder that is odorless and non-toxic. It draws oil, dirt and other harmful substances from pores and skin due to its adsorption powers. It works by trapping toxins in its millions of tiny pores and negative electric charge. Look for charcoal made from coconut shells or bamboo be sure to read labels like with anything. You can find activated charcoal in the supplement aisle of any health food store usually in capsules. If you want a powder which is easier for skincare purposes you can find it online. The skin benefits include anti-aging properties and acne prevention. Anti-aging benefits include tightening pores, smoothing the skin, and reducing inflammation. Reducing inflammation is significant in preventing premature aging skin. Activated Charcoal has anti-bacterial properties ideal for acne prone skin. Trapping impurities, healing pimples, and preventing further breakouts. 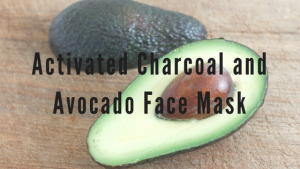 By adding the avocado to this mask adds to the clear skin and anti-aging benefits. Avocado is super nourishing and softening to the skin. Its also a natural sunscreen protecting the skin even more. A few warnings this mask will be black, like really black. That is how it should look. It will not smell like charcoal though. It will smell just like avocado. This mask will leave you skin feeling smooth, clean, and nourished. A warning it is charcoal it will be hard to wash off things to be careful when making, applying, and washing off. In a small bowl smash half an avocado removing as many lumps as possible. Add 2 capsules of activated charcoal. Apply a thin layer to face. Let dry. Wash off face. This will make enough for 2 masks. Invite a friend a to join! I love coconut oil. I use keep a jar in my kitchen and a jar in my bathroom. Cooking with it is great but I like to use it on my skin even more! Coconut oil is awesome because it has antibacterial properties helping keep your skin clean and clear. Its incredibly moisturizing and has antioxidants like vitamin E and vitamin A which help slow down the aging process. 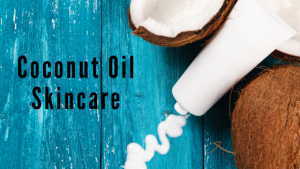 I use coconut oil head to toe and I’m going to share how I do that. Do you have a dry scalp or dry hair? Depending on length of hair warm a tablespoon of coconut oil in your hands and spread on hair from roots to tips. Concentrating on the ends. Comb through then wrap hair in towel and let sit for half hour. Wash hair normally. Enjoy softer hair. On the face the uses are almost endless. Coconut oil can be used as a makeup remover, moisturizer, night cream, and can lengthen your lashes. I wash my face and slather it on my face and neck at night. I wake up to super soft hydrated skin. If you are prone to oilier skin mix with your normal moisturizer or wash with it instead. You get the benefits with out the added oil. You can make lotion with coconut oil but I just use it plain out of the jar. After a shower I just warm some in my hands and use as you would a body oil. You can add an essential oil if you feel like it but I mostly just use it plain. I have eczema and this is the one thing I use that has cleared it up with out much effort. If you have sensitive skin like I do this will not irritate at all. Out of shave gel or can’t find one you like? Coconut oil is awesome to shave your legs with. Use it like you would a shave gel and you probably won’t need to put any lotion on your legs after it works that good. Your skin will be soft with a close shave. Its the best! A few other uses sunburn relief. It replaces the moisture lost and soothes. If you add lavender essential oil in your burn will be lighter in and less painful in no time. Add coconut oil to your epsom salt bath. Add 1/4 cup epsom salt and 1/4 cup coconut oil in a hot bath. You will get the detox benefits with added moisture. 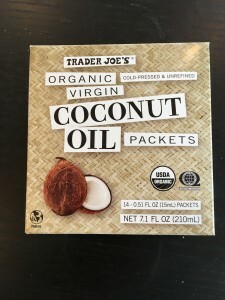 I found these individual packets of coconut oil at Trader Joe’s. They are awesome for travel I throw a couple of packets in my makeup bag and I have coconut oil without the mess of trying to put into something smaller or having it leak. Its the first day of Spring! This is the time of year travel is on my brain. After a rainy cold winter I am ready for a change of scenery. Vacations are great but getting to your destination sick, getting sick while there, or returning home sick is something we would all like to avoid. Whether you are flying or driving germs are everywhere. Add that to the disruption to your schedule and food routines and you are bound to not feel your best while traveling. Here are some tips to keep you feeling good your whole trip. Prior to travel its important to strengthen your immune system. Getting sick on vacation is no fun. You also want to return healthy. 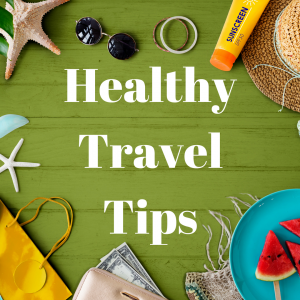 Leading up to your vacation maintaining a healthy diet, getting plenty of sleep, and taking extra vitamin C and B vitamins will help you ward off the sickness. Pack healthy snacks. Airport food and road trip food is not the healthiest. Packing some healthy alternatives will keep you feeling your best when you reach your destination. Veggies, fruits, granola, sandwiches, nuts etc. are all healthy filling options. Drink plenty of water. Air travel is especially dehydrating. Most of us do better with some humidity in our air and the air in an airplane is dry really dry. Drinking water will keep your skin and body hydrated. Water also helps with jet lag and keeps your energy levels up. Stay somewhere with a kitchen. Airbnb or VRBO are great because you usually get a fully stocked kitchen. Some hotels have kitchens available and most of the time you can get a refrigerator in your room for free. This allows you to have healthy snacks and food options in reach. If you have a kitchen you can choose what meals you want to eat in and what you want to eat out. We do this most places we travel. Its nice to be able to eat a normal breakfast or lunch. Sticking somewhat to your normal routine will help you feel your best and enjoy your vacation. Pack a cooler with sandwich makings, fruit, veggies, water, and snacks. You can stop, stretch your legs, and have lunch and continue on your way. Road trips can be stressful. Getting stuck in traffic or road construction can raise the blood pressure when all you are wanting to do is get your vacation started. Load your iPod with favorite songs or an audio book. Remember to breathe. Keep hydrated. It may mean you need to stop more frequently but you will feel better hydrated. Wash your hands frequently and use sanitizer when water is not available. Pack TSA friendly healthy snacks. Airport food is not great. Veggies, fruit, granola, and nuts are all great options and easy to pack. Throw some Emergen-C in your carry on add it to your water for an immunity boost. Bring your own water bottle and fill it up at a restaurant or at a fountain. You can buy a bottle but airports are expensive. Hand sanitizer wipes are great for wiping down your seat and tray. Airplanes are germy. Depending on the length of your flight get up and walk the aisle flying is already uncomfortable but if you get up and move a bit you will feel better. Remember your neck pillow, blanket, and socks. I do not like what the hand out on the plane so I bring my own. I bring a neck pillow that can attach to my purse so I don’t have extra to carry and a small blanket or scarf to keep warm. If I am flying at night I bring socks so I can take my shoes off but still be warm. I can sleep on a plane this way and arrive not dragging. Traveling is the not so fun part of vacation for me at least. I use these tips to arrive feeling my best and able to enjoy the fun part (the actual vacation). Then I am able to return home recharged and relaxed which is the point right?! Apple Cider Vinegar is the by product of fermented apples. Apples are full of potassium, pectin, and calcium. Fermentation fortifies it with even more beneficial acids and enzymes. Its antiseptic and antibacterial. Apple Cider Vinegar can improve overall skin complexion by restoring and balancing natural pH. Toner improves overall skin texture and removes dead cells that stick even after cleansing. Provides needed hydration to your skin which is essential to smoothness, moisture and a more youthful appearance. Hydration also reduces the signs of aging. Large pores allow more dirt, oils, and toxins into your skin, using a toner shrinks pores. Toner works to remove environmental toxins helping your skin look brighter and healthier. 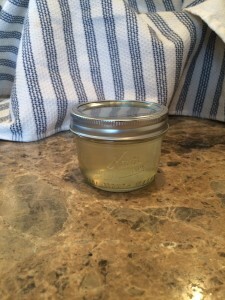 Make a small amount to start Apple Cider Vinegar is strong and needs to be diluted especially for sensitive skin. 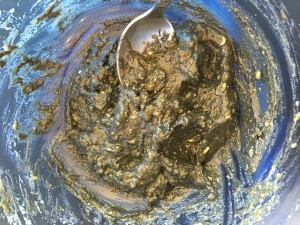 If you find the mixture too strong add more water and if its too weak add more apple cider vinegar. This is super important for sensitive skin. 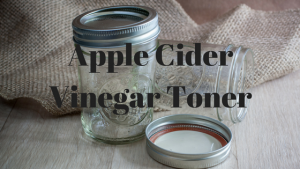 This toner is shelf stable keep in a glass jar with a lid or in a small spray bottle. Apply with a cotton ball or spritz on face. This is 3 tablespoons ACV with 9 tablespoons filtered water. This is the ratio that works for me and fits in my jar. I have sensitive skin and this is what works for me. A reminder always try a small amount to figure out the right dilution ratio for yourself. When adjusting the recipe to make it weaker or stronger add a tablespoon at a time until you have found the right ratio for your skin. After a while your skin may become used to this toner and need to adjust. Its the time of year again. Spring forward. We lose an hour of sleep and its rough. We gain more daylight but loosing that hour takes a bit to get use to. Yay for more daylight, boo for loosing an hour of sleep. Some people have no problem adjusting to this change but some of us have a lot of trouble. When we fall back I really don’t have trouble adjusting but this losing an hour is rough. I find myself “sleeping in” and waking up groggy and feeling like it takes me forever to start my day. So I have been thinking of way to prepare myself this year and thought I would share. 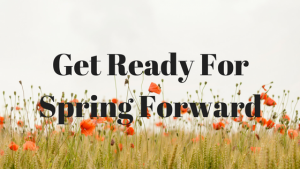 Here are a few tips for making the transition to longer days and spring a little easier. Start going to bed earlier a few days before. 15-30 minutes. Strive for 7-8 hours of sleep. Adjusting your sleep prior will help you will make it easier for you. Avoid the urge to sleep in on to make up for the loss of sleep or to prepare for it. Stick to your routine. We are creatures of habit and daily routines keep life easier when changes are happening. Be active. You will be more likely to be tired and sleep well. Get outside, workout, don’t be a couch potato. Even if its a walk around the neighborhood just move you will thank yourself. Just make sure you leave yourself time to relax before bed. Start cutting off your caffeine intake earlier then usual. 6 hours before bed time is ideal. Cut off alcohol consumption 2 hours prior to when you want to sleep. Alcohol and caffeine disrupt the natural sleep cycle. Turn off your electronics 1 hour prior to sleep. Removing distractions will make it so you sleep soundly all night. These are good tips for every night but are especially important when your schedule is already disrupted. Take time adjusting. Slowly start resetting your bed time by 15 minutes each night until you are back to the normal time. Just like when you travel it takes time to adjust and adjust back. Be nice to yourself. Take care of yourself. 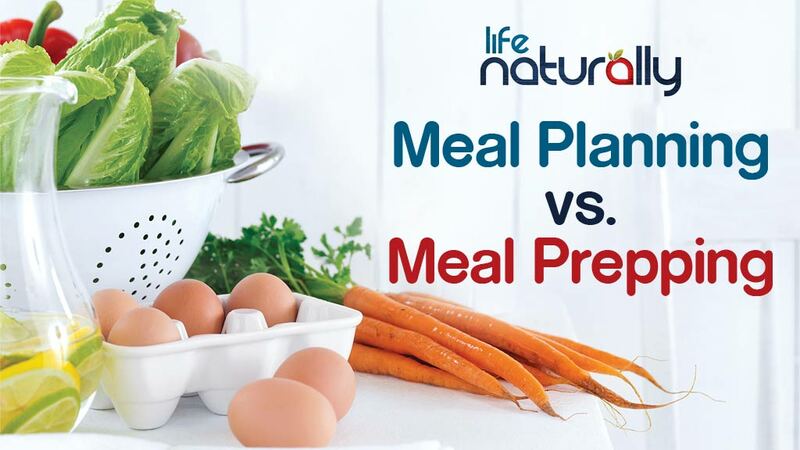 Meal planning and meal prepping are great ways to keep on track with your health goals. Its great to have a dinner or lunch or even breakfast already planned and the food already in your refrigerator. You can do one or both. Do which ever fits into your life and fits with your goals. If you find that dinner is a mad rush and time is limited maybe chopping vegetables or having something already prepped to throw together and cook would be handy to have already prepared. Maybe having your lunches put together to save time in the morning and keep the fast food away is what you need. I am going to breakdown planning and prepping below and share some of my tips and tricks so you can figure out what will work best for you. Meal planning can be a little intimidating at the start. Make this easier by sitting down and organizing your recipes or meals in a notebook or on your computer somewhere that is easy to access. 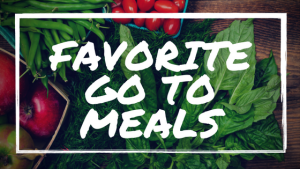 Organize meals by family favorites or go-tos and by new recipes you would like to try to keep things interesting. You can further organize these by ingredient, main dish, side, or just keep a running list of ideas. It doesn’t need to by complicated organize however it will work for you. A few tips and tricks to make things easier. Pay attention to your schedule for the week. Look at your calendar and make note of activities or events you have going on. A busy night that calls for a crockpot meal? Are you planning to eat out one night? This way you will be prepared for whatever you have going on. Theme nights are also a fun and easy way to already have a meal crossed off your list each week. Taco Tuesday. Meatless Monday. Pizza night. Breakfast for dinner. Whatever you or your family likes make it a night each week. This is fun and can become the night you look forward to the most. First things first start by organizing yourself. It will a lot easier to start this process and make it successful if you first collect recipes, and organize them. Meal prepping can be prepping veggies for the week, prepping whole meals, or making a big batch of something and freezing half of it for a later date. Taking sometime to wash vegetables and chop them up for an easy snack to grab or to save time when preparing dinner. 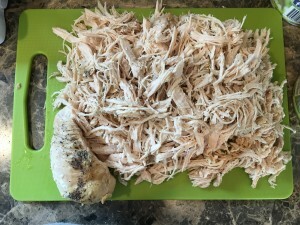 You can prep whole dinners or lunches by cooking a large batch of protein, roast some veggies, and you have a quick grab and go dinner or lunch. 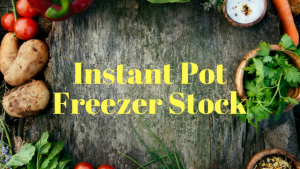 Another great way to prep is make a large batch of something you are already making and freezing half for a quick dinner on a busy night or a night when the plan just doesn’t work out. A few tips prepping and freezing a week of smoothies is an easy way to save time in the morning. Your freezer is your best friend seriously! Soups, taco meat, egg muffins, breakfast burritos, fajita filling. The list can go on. Make lunches easier by having veggies already cut up, cook a grain in bulk to add in, and have a protein cooked so you can throw it together and go. Time saver and money saver since you won’t be tempted to eat out! Check out recipe ideas on our blog and on our Pinterest page. A good place to start with your next year resolutions is a year end reflection. Go over highlights, disappointments, what did you focus on, things you forgot, and reflect and form a plan from this list for next year. It may surprise you what comes from this list. 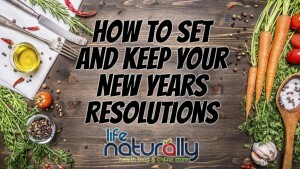 Another way to come up with goals or resolutions that will stick is to think of the resolutions as lifestyle changes. This makes them more permanent and not so daunting, helping you focus and stay on track. Its about making small positive changes to achieve the goals you have laid out. It takes 21 days to form a new habit. Be patient with yourself change does not happen over night. Focus on the good and don’t dwell on the negative. Keep your goals specific and positive. Write them down and post them somewhere you look daily like the refrigerator, your office space, or anywhere else that will remind you. Mistakes will happen keep a journal to remind yourself how far you have come focusing on your successes will help you. Always focus on the positive!! Here are few ideas. Small changes can lead to larger goals being accomplished. Eat less meat. Meatless Mondays. A dinner a week. Eat more greens. Every meal. Cook at home more. Cook dinner more often. Move more. Walk. Run. Dance. Take the stairs. Unplug. Turn your phone off one hour everyday. Don’t bring your phone to the dinner table. Give back to your community. Volunteer. Donate. Save. For a vacation. For a goal. Be more present. Slow down. Enjoy the moment. Start a gratitude/thankful list add to it everyday. Spend more time with family/friends. Start a journal. Goals. Good things. Be more positive. With your thoughts. Actions. Self-care. Start a self-care practice. Be nice to yourself. Write down your goals. Choose how often you are going to want to check in with yourself and how you are accomplishing your goal. Daily, weekly, or monthly. Now start a journal this helps you stay on track and if you have a set back it will remind you of your successes and keep your focus positive. Goal(s): What is your end game? What do you want to accomplish at the end. Set a realistic timeline. How will I accomplish this goal: Break your goal up into smaller pieces. Use this to set your day, week, or month. Check-in: Set a time to check in with yourself. Daily, weekly, monthly. Whatever works for you. You can check in with yourself as much as you want. Some will find daily will hold them more accountable others will find weekly or monthly to be enough. Be honest and make it a priority. Today, This week, This month I will: Small changes lead to the big changes you want to make. Take something small and work on that. To accomplish this I will: How are you going to accomplish this smaller goal. Successes I have had: Whats good? Documenting your successes will help you stay on track and keep positive. Set backs: Don’t dwell. Write down and move on. This will help you focus your next day, week, or month. Now I need to: Whats next? What do I need to change? What do I need to focus on? Goal: Eat healthier. I will clean up my diet and by the end of the year I will have formed new habits to obtain this goal. How will I accomplish this: Cook more at home. Be mindful about what I put in my body. Meal plan. Pack my lunches. Drink more water. This month: I will cook dinner at home at least four times a week. I will make cooking a healthy dinner a priority. To accomplish this: I will plan my week and write my meals down and post it on my fridge so I have a reminder. 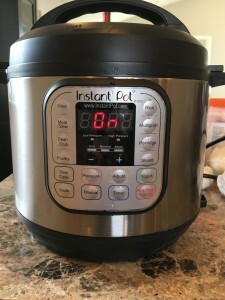 Use my crockpot or make a dinner ahead of time. I am going to make one dinner that I can eat twice. Check in: I will check in weekly with myself to accomplish my monthly goal. Successes: I have been cooking more and enjoying it. I am finding new recipes and trying new foods. Things that were not on my original list but have made this fun. Setbacks: I have not made my goal of four times a week. Now I need to: Plan ahead little more and be realistic about my schedule. This will help you keep track but also have something to look back on to see how far you have come. Celebrate your milestones on your journey. Reward yourself with things that will keep you on track. Find a positive support system. Share your goals with friends and family this keeps you accountable.